Huacao is home to some of Shanghai’s most famous expat residences, including the Shanghai Racquet Club and Forest Manor. The pace of development in this area is staggering, with shopping malls, a world-class medical facility and various compounds offering a range of housing types. Huacao is also near the heart of one of the world’s largest transportation hubs, meaning that getting into, out of and around Shanghai is extremely convenient. 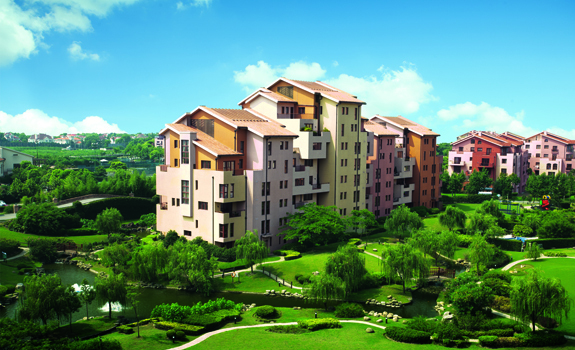 There is no shortage of housing in the Huacao area. Expat favourites such as the Shanghai Racquet Club, Forest Manor and Rancho Santa Fe are all located there. Upper mid-level options such as Westwood Green and The Stratford also offer expats excellent choices that will fit into their budget. All of these compounds are within walking distance of The British International School, which is in the centre of Huacao. Huacao has health clinics that cater to the expat population and it’s a short ride to the hospitals located in Hongqiao, which are world-class medical facilities. Huacao has many positives, such as the proximity to Shanghai international schools, the quiet and safe streets and the excellent accommodation. Now that the transportation hub has been completed, the greater Hongqiao area is one of the most connected places in the world. A subway stop is under construction in the vicinity and the Maglev will be extended nearby at Hongqiao International Airport.